Reducing the demand for parking is closely linked with reducing vehicle trips, so many of the programs recommended for reducing parking demand are the same ones recommended for trip reduction through Transportation Demand Management (TDM). TDM programs typically aim to reduce drive-alone trips through strategies that encourage carpooling or use of alternative modes. Because TDM programs reduce solo driving, less parking is needed; communities should account for this and reward employers who implement effective TDM programs through reductions to minimum parking requirements, allowing these employers to shed parking spaces they no longer need or build fewer to begin with. TDM programs are most commonly implemented at large job sites, especially in suburban areas, but many components are also appropriate for large multi-family residential developments, and some can be implemented at the district or community level. They offer the greatest benefits to employers that are constrained by their parking supply, those that can realize a financial benefit by using fewer spaces (for example, if the spaces are leased separately), or those that wish to redevelop a portion of their parking into usable building space. The community also benefits from reduced traffic and impervious surfaces. For more information on TDM in Massachusetts, including services for employers, travel options for employees, and tax benefits, see the MassRIDES website and the MassCommute website. Locally, the City of Cambridge has an ordinance linking parking and TDM. The ordinance was introduced in 1998 in response to growing concerns about traffic impacts from new development, following extensive discussions with City council, the public, and the Chamber of Commerce. The Parking and Transportation Demand Management Ordinance is triggered by construction or expansion of parking facilities, and applies to all non-residential projects. Small projects (5-19 parking spaces) must implement 3 TDM measures; large projects (20 or more spaces) must prepare a PTDM plan for city review and approval, commit to a certain maximum percent of trips to the site that will be made by people driving alone, and monitor biannually how people get to the site and how much parking is being used. The City credits the program with resulting in smaller parking facilities, less traffic generated by the regulated projects, improved air quality, and better commute options for employees of the impacted work sites. For more information, see the city’s PTDM website. The full text of the ordinance can be downloaded from there. Many employers, particularly in suburban or lower density areas, offer their employees free parking. This encourages employees to drive to work by disconnecting the costs of parking from the choice to drive. In addition, though the parking seems free, the costs may be borne by employees indirectly as lower wages, so that all employees pay for parking, even if they don’t use it. To remove this unfair incentive to drive alone, some companies are implementing parking cash out programs, offering employees who do not drive the value of a parking space as cash. This offers a financial incentive to employees not to drive, and thus can reduce the demand for parking. Studies in California showed that cashing out employer-subsidized parking reduced driving to work by 11 %. In California, state law stipulates that employers that offer free parking must offer cash out programs as an alternative, and that cities must grant reduced parking requirements for developments that offer cash out programs. The law also states that existing developments can reduce the parking spaces provided by an appropriate amount if they implement parking cash out, allowing businesses to expand into land previously used for parking. Cash out programs are often easier to implement than charging for parking because employees are used to parking for free. Also, the effectiveness of a cash out program depends on the availability of alternative modes, and, conversely, the availability of free and unregulated parking in the area (which allows employees to take the cash but still drive and park somewhere). There are also important tax considerations because employers and employees are both taxed on the cash out. Putting the money towards pre-tax transit passes can help resolve this issue. U.S. Environmental Protection Agency, Parking Cash Out: Implementing Commuter Benefits as One of the Nation’s Best Workplaces for Commuters SM, March 2006. Available as a free download. Victoria Transport Policy Institute, “Commuter Financial Incentives”, Online TDM Encyclopedia. Employers may provide their employees with free or subsidized transit passes regardless of their parking usage, or may provide the discount only to those who forgo a parking space as part of a parking cash out program. Through federal legislation passed as a part of the Transportation Equity Act of the 21st Century, participating employers can offer federal tax-free commuter benefits for transit and vanpool expenses to employees, in any amount up to $100 per month . One study found that when employers began to offer free transit passes, the percent of commuters driving to work alone fell from 76% to 60%, transit mode share more than doubled, and commuter parking demand dropped by 19% [1, p.251-252]. Results will vary based on the quality and proximity of transit service to the site; for sites not well served by transit, a subsidy will be ineffective unless shuttle service connecting the site to transit is also provided. Transit agencies in Dallas, Denver, Salt Lake, and San Jose, among others, allow employers to buy “EcoPasses,” permitting all employees to ride free on local transit lines. The EcoPasses are sold at a steep discount because they are purchased for all employees, and not all employees will use them fully. Though not everyone will stop driving to work, by providing everyone with free access to transit, even those who usually or occasionally drive and park will have no marginal cost for using public transit occasionally. This can reduce parking demand for the employer, and can also benefit the community because those employees may choose to use transit for non-work trips as well, reducing traffic further. Because of the reduced parking demand, Montgomery County, Maryland allows office uses a 15% reduction in minimum parking requirements if the business provides reimbursement to employees for transit passes. The same can be applied to residential developments, as a free transit pass makes people less likely to own a car. Employers that have their own parking facilities can encourage carpooling and/or vanpooling by reserving prime parking spots – close to building entrances, covered, or otherwise preferable – for carpool or vanpool vehicles. These spaces should not be closer than handicap parking spaces, but should offer an advantage over other parking. Municipalities can do the same in public parking facilities, and may also consider enacting regulations stipulating that operators of private parking facilities must offer priority to carpools and vanpools. For example, the City of Portland (OR) requires that office, industrial, and institutional uses with minimum parking requirements over 20 spaces must reserve 5% of the spaces or 5 spaces, whichever is less, for carpools. The spaces must be the closest to the building entrance or elevator other than handicap spaces. Making bicycling an attractive option for accessing a site can reduce the traffic and parking demand at the site. While a non-scientific internet survey by MAPC found that having a safe route is often the most important consideration for potential bicyclists, a third of survey respondents said that if better bike parking were available, they would ride a bike more often for shopping and visiting friends. A quarter of respondents said they would bike to work more often if there were showers available and 21% listed secure, covered bike parking as a factor that would encourage them to bike to work. This demonstrates the potential to increase biking and consequently reduce parking demand and traffic through the provision of parking and amenities for cyclists. MAPC offers a regional bike parking procurement program that offers communities in MAPC’s region with the opportunity to purchase bike racks or related equipment and receive full reimbursement for the purchase. In addition to providing bike parking for public facilities, communities may wish to require bike parking for new developments, or even existing uses, as well. None of these communities allow reductions to the vehicle parking in exchange for bike parking, but in Portland (OR), every 5 bike parking spaces beyond the required number can substitute for 1 required car parking space. The type of facilities appropriate will depend on the site and the users: short-term users such as shoppers will need convenient parking close to building entrances; long-term users will value security and protection from the elements for their bike, and employees in particular are likely to value shower and changing facilities at their destination. Car sharing programs provide a fleet of vehicles distributed throughout neighborhoods that members can rent on an hourly or daily basis. Members are charged based on usage, usually at a rate that covers gas, maintenance, insurance, and parking. The cars typically have reserved parking spaces at transit nodes and in neighborhoods where they can easily be reached on foot. Car sharing is most effective in higher-density, mixed-use areas where there are other transportation alternatives. By allowing occasional access to a car without the vehicle ownership, car sharing programs can reduce the need to own a car, especially a second or third one. Zipcar, a for-profit car sharing company operating in Massachusetts, reports that over 40% of its members decide against buying a car or opt to sell one they already own, and that each Zipcar replaces over 20 privately owned vehicles. Because of this benefit, some local governments reduce minimum parking requirements if developers or employers agree to institute or participate in car sharing programs. Developers may be required to contribute funding towards set up costs and/or to provided dedicated parking for the car-sharing vehicles. The City of Seattle, for example, allows a reduction of up to 5% in the required parking spaces for projects that provide parking for a recognized car-sharing program. Several developments in San Francisco have been allowed significant reductions in their parking requirements, in part because of participation in car sharing programs. Shuttle service can be provided to a site from a transit stop, allowing users to forgo driving completely for the trip. Public parking lots or structures can be built at the edges of a downtown area and shuttle service can be provided within the downtown, encouraging people to park once on the outskirts rather than drive into the downtown, potentially making several stops. In some cases, park-and-ride lots can be used for this purpose. Remote parking and shuttles can also be useful for beaches, special events, and other attractions with limited parking and high peak demands. This may be part of an overflow parking plan or may be part of standard operations. In order to be successful, remote parking requires good information, including signs and maps directing drivers to the location as well as ideally information available online so that people can plan where they will park in advance. In order to be worth the extra trouble of taking a shuttle to the destination, it also must offer advantages over other choices. For example, if parking is very limited or significantly more expensive near the destination, there will be an incentive to use remote parking. If the price difference is limited or there is parking available closer, peripheral facilities may be underused while near-destination parking is overly congested. 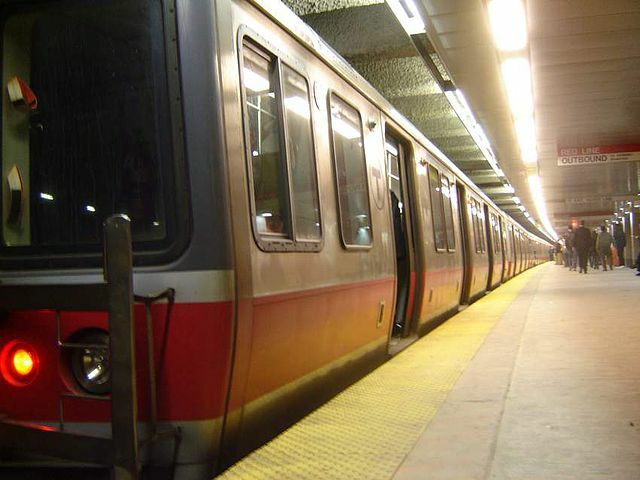 The Boston Region MPO has a Suburban Mobility program through which communities can apply for funding to implement transit services in suburban areas, such as shuttle services. The purpose of the program is to address transportation needs in areas that are currently not served or underserved by transit. For more information, see the MPO’s website or contact MAPC. The Ipswich-Essex Explorer provides seasonal shuttle bus service from the commuter rail station in Ipswich to Crane Beach and several other local destinations. It has been operating for 2 years, and is run by the Cape Ann Transit Authority. For more information, see www.ipswich-essexexplorer.com. The Town of Rockport, with high summer demand and limited parking downtown, offers free parking in a park-and-ride lot on the outskirts of the downtown and shuttle service into downtown. Maryland Governor’s Office of Smart Growth, Driving Urban Environments: Smart Growth Parking Best Practices, March 2006. The Metropolitan Area Planning Council, Regional Bicycle Plan, March 2007. U.S. Environmental Protection Agency, Parking Spaces / Community Places: Finding the Balance Through Smart Growth Solutions, January 2006. Available as a free download.